While in a learning phase of ladder logic we usually don't have PLC programming software to test our logic made in paper or even you don't have a PLC software for your testing and reference. 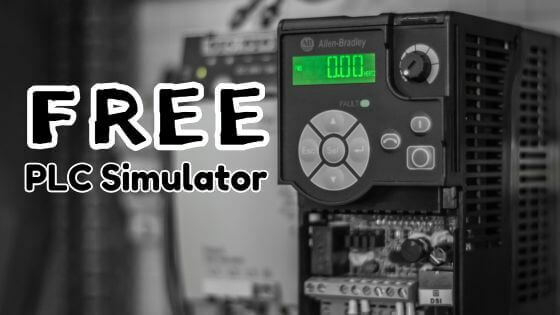 In that case, you can use some free PLC simulator which are available online. There is some site which provides students and trainer free PLC simulating software. Subscribe to Automation-Talk by Email. LogixPro 500 is the ideal tool for learning the fundamentals of ladder logic programming. The full version of our LogixPro 500 Simulator is available for download and free evaluation. What this means is that you can download and try out LogixPro 500 in a 15 day Trial Evaluation mode, and make up your own mind as to whether it's the most advanced PLC Simulator and best training value on the market today. TRiLOGI" is the name of the ladder or ladder + BASIC programming software for the Nano-10, FMD and F-series PLCs via LAN or the Internet. It can also be used for programming the legacy M-series (T100MD+ and T100MX+) PLCs, although some of features are not available to the legacy PLCs. It is a perfect training tool for learning PLC programming. Students or technicians can quickly create a ladder logic program on their laptop and instantly test the program using the simulator. Do try it. 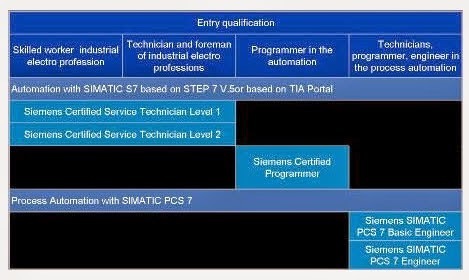 plcsimulator.net provide free online PLC simulator. This PLC simulator will help you to enhance your PLC programming skills. Just visit the site and test your Ladder logic skills. These were some of the best PLC simulator which are available online for FREE. If we find more such PLC simulator we will update your through our Email newsletter. Encoder comes with a specified PPR i.e pulse per Revolution and Maximum Frequency output of the pulses given by encoder. Generally, encoders are mounted on the shaft of the conveyor, so according to the resulting RPM we should select the encoder with a proper PPR and output frequency. The encoder is interfaced with the PLC for counting the pulses given by encoder and taking the feedback. PLC inputs also have a frequency range for the pulses which it can accept. So calculating the frequency of pulses by the encoder is important in an application. Below is the formula to find the Max. 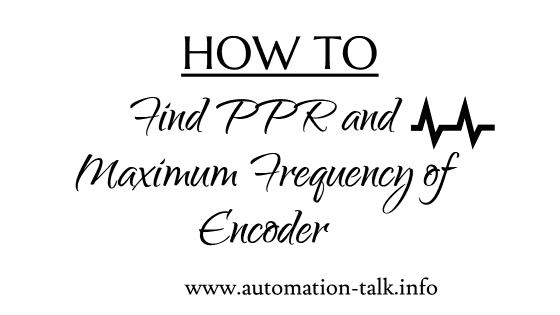 The frequency of encoder in from the PPR and RPM. So if the encoder is mounted where the RPM = 2000 and PPR of the encoder is 360 the frequency of encoder will be 12KhZ. So we could find out that our PLC will be able to count pulses with this frequency or not. Let us also see the difference between Single turn and Multi-Turn encoders. In single turn Encoder, the output code is repeated after every single revolution of the encoder shaft i.e we can not actually determine how many turns have encoder made 1 or 1000. In Multi-turn Absolute encoders, the output is unique for each revolution or for every shaft positions up to 4096 revolutions and we can get to know that the numbers of rotation of Encoder. For more updates on Encoders you can subscribe to get all information in yours Inbox. Subscribe to Automation-Talk by Email. Variable Frequency Drive or VFD is a power electronics device which has revolutionized the Electrical Industry. VFD have made possible the speed and frequency control of the AC Motor. VFD gives a load of other advantages other than speed control. VFD is the best starting method for AC Motor. Also, the energy saving feature in drive makes an added advantage for saving the electricity and thus reducing the cost. Baldor VS1MD series VFD have a special feature through which we can save energy and thus reduce the cost of electricity bills. In almost all the industries where there are many motors, most of the electricity bill is raised from current consumption by these motors. But by installing Baldor VFD we can get up to 30% energy savings and thus the cost of the drive can be recovered in just 1 Year. All the drives have PWM output, so it means that even if we don’t set the parameter we will get the energy savings and that is for sure. If we compare two motors of same ratings, for example, there are two motors of 10 HP Motor A and Motor B. Motor A is run through Star Delta Starter and Motor B is through VFD. Both the Motors A and B are used in the same application with the same load condition and the same environment. If we install an Electric Meter and monitor the Units consumption then we will find that there will be around 20 to 30% lesser electric units consumed by Motor B which is run through VFD. To boost the energy savings in Baldor VFD, there is one Parameter. Parameter Number F40, in this put the value in between 0 to 30. It adjusts the output voltage according to the load status. It is set as a percent of a maximum output voltage. When there is any pump or fan application, setting this parameter can dramatically reduce energy consumption by decreasing the output voltage with light loads or load behavior. 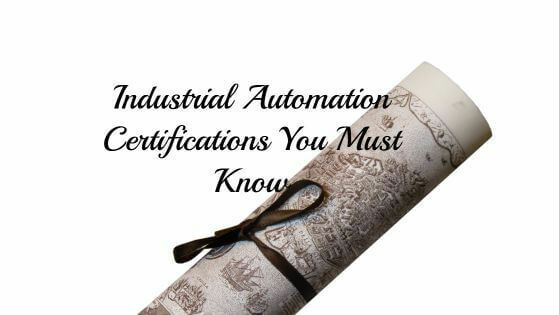 We will be discussing more about VFD Application and its advantages, so till then subscribe to Automation-Talk by Email, so that you can get all the latest updates. In the past few topics of AC Motor basics we have seen about general motor terms, different types of motor load and the Calculation of Synchronous speed from Poles. We all frequently use term called Torque in our day to day work life. But, do we really know the actual meaning of "Torque". 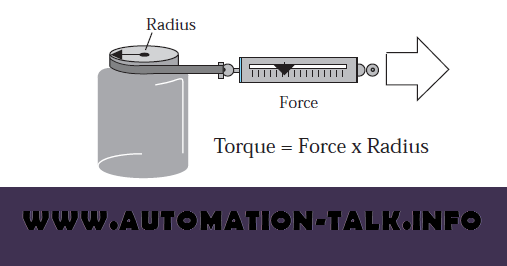 We got many request from our readers to explain the term torque in simple words. So get a cup of coffee and sit back. Subscribe to Automation-Talk by Email. In our industrial applications when we have to select the driving motor for any load we are always concerned about the horsepower, but believe me the real driving force is TORQUE and not horsepower. In the simplest word torque is the twisting/rotational force exerted by the drive on the load. Now let us take a simple example. Do you remember that sometimes you try to open the lid or open a bottle but after so many tries it does not open? Do you know the reason why it doesn't open? Because we are unable to supply or apply the adequate torque to open the lid. The solution for this can be a) grit our teeth and try harder, b) use a rubber pad, or cloth, to increase the ability to transmit torque without slippage, or c) use a mechanical device to help multiply our torque producing capability. 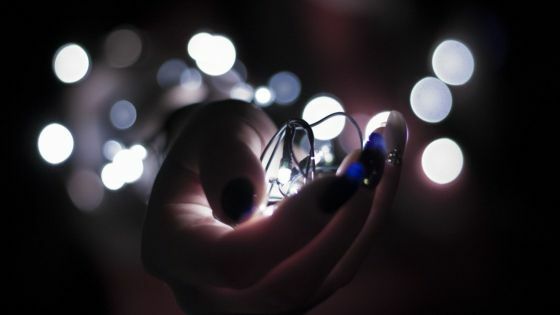 If still, it doesn't open then give it to some stronger person!! Well, the main motive behind the above example was just to make u feel something about torque. We are always confused among HP and Torque. Now let us suppose that after so much try also the lid did not open and now we will wrap a cord around the lid and supply a force to the end of the cord through a scale. See the below diagram. However, the above example gives a clear illustration of the torque but lets us discuss one more thing which is observed in industrial applications. If we recall the above example then we can derive one more term called "Stiction". 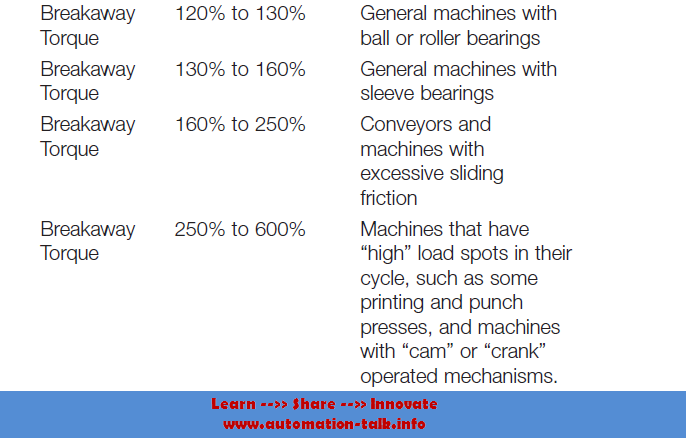 Stiction can be defined as the amount of torque required to make a load lose and start the first revolution. Stiction is nothing but only the second name of the breakaway torque and frankly speaking for every industrial application the breakaway torque requirement of any load is greater than the continuous torque requirement for running the machine. The amount of "stiction" present in a machine will be dependent on the characteristics of the machine as well as the type of bearings that are used on the moving parts. Below you can see a picture in which the breakaway torque requirement of different machines is shown. 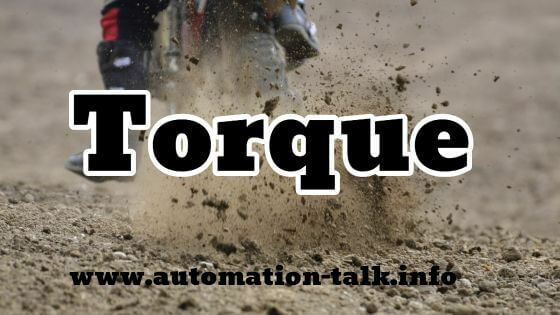 So, we have got now a clear view of the torque and its characteristics, in the next few days we will try to see more different types of torques and detailed explanation of torque in a simple way. Till then you can subscribe to get all latest updates via Email. We have discussed about the servo basics and servo control terminology in the previous article. We have studied about the different components of a servo control. Today in this post we will see that what are the advantages that we get by using the servo motor over the AC Induction motor. 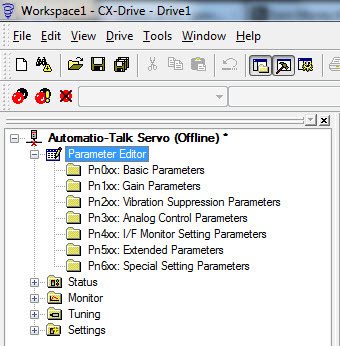 This article is in continuation to the previous one and here we will learn more about servo control. Let us, first of all, see that what are the advantages of using the servo motor. Why it is that Servo Motor gives better efficiency for many applications. Suppose that an Induction motor is connected to run a grinder at full speed, we can expect to get some level of performance in this case. But is same grinder is run through Servo Motor we will get the next level of performance. So how it is achieved? Let us discuss in detail. As we have discussed in the previous post that a servo motor is always used with a control and feedback device. The servo control issues the command for the position and the feedback device monitors the load and inform the servo control so that the control can correct the position if there is any error. 1. Increased Performance:- A servo motor has got more acceleration rate and higher speed capabilities compared to the induction motor and thus allowing the enhancing the production rate of the machine. 2. Smaller Size:- Servo motor has the higher output torque rating for the same size of the rotor. Thus Servo motor can be installed in a place where space is of prime concern. 3. Less Weight:- Weight of the Induction Motor is more than the servo motor for the same rating. 4. Highly Efficient:- A servo motor is designed in such a way to have peak efficiency and thus a better power conversion factor and thus saving the power. 5. Quick Positioning:- Servo motor can be issued a command to move accurately to the desired position in very less time, this is not possible with Induction motor. 6. High Degree of Accuracy:- In critical applications where we need the accuracy in microns or mm, the servo motor can provide it as it is designed for highly precise positioning. 7. Control-ability:- Last but not the least, as the servo control is used along with the servo motor thus a full control is achieved over the servo motor. 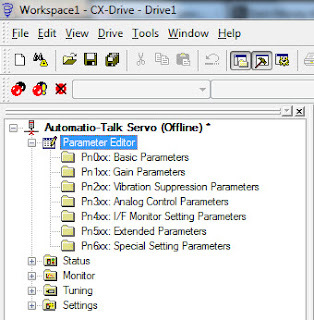 Also, one major point to be noted here is that the power of servo motor is utilized only when a position move command is issued to servo motor and rest of the times servo motor is normally turned off, thus a large amount of power is saved. 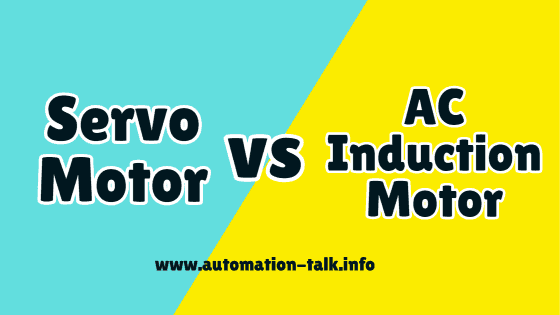 We hope that after reading this article about the advantages of servo motors over induction motor, we have come one step ahead. 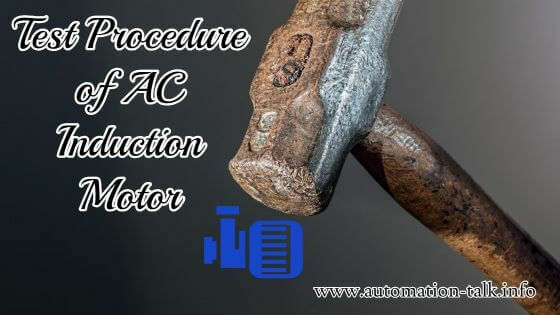 In the next article, we will discuss about the Permanent magnet DC Motor and AC Brushless Motor, till then you can subscribe to Automation-Talk by Email to get all latest updates.